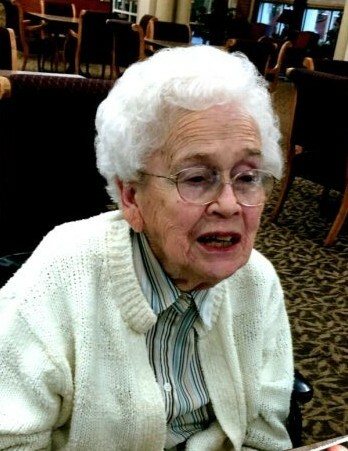 Olive Overbey Mills, of 1966 Blair Loop Road, Danville, VA, went to her heavenly home on Monday, January 14, 2019, at Roman Eagle Health and Rehab. Mrs. Mills was born on June 22, 1925, in Ruffin, NC, a daughter of the late Robert Overbey and Ivey Powell Overbey. She was the beloved wife of the late Andrew S. Mills and was a loving and devoted mother. Mrs. Mills was employed with Dan River Mills where she worked in # 4 grey inspection until her retirement. She was a member of Mt. Olivet United Methodist Church. Mrs. Mills was the last member of her generation. Mrs. Mills is survived by her children, Andy Mills (Carol), Harriett Keith and Hilda Mills, all of Danville, VA; six grandchildren; seven great grandchildren and many nieces and nephews. In addition to her parents and husband, she was predeceased by five sisters and two brothers. Funeral services will be conducted on Wednesday, January 16, 2019 at 2:00 PM at Mt. Olivet United Methodist Church with Pastor Jimmy Calhoun officiating. Visitation will be held from 12:30 until 1:30 at the church and at other times the family will receive friends at the residence. Interment will follow in Danville Memorial Gardens. In lieu of flowers the family suggests donations be made to Mt. Olivet United Methodist Church, 245 Mount Olivet Lane, Danville, VA 24540. The family would like to extend their sincere appreciation to the staff of Roman Eagle North East Wing for their loving care. Swicegood Funeral Service is respectfully serving the Mills family.